According to some sayings, the further south you go, the thicker and longer a blade will get. However, when it comes to northern areas, the knife that proves this theory is the puukko. Originally from Finland, this Finnish knife is unique characteristic to the north. The name puukko comes from the word puukotta which means knife different knives that were used for daily living. The puukko was a much smaller option and it was used or to stab. However, the prefix of Puu means wood. The whole design of this knife comes from the Sami people who had created several to skin animals or fish. Even though the historical records all say something different, it does show that this blade was made over 1000 years ago. This knife was carried by women and men, and the knife size was always changed as it was based on the person, as the wooden handle was meant to fit the hand of the person who owned it. This Nordic knife is a tradition and it is sharpened in a way that can make wood carving effortless as the blades will not wedge themselves into wood, but they are able to carve feathers off of the wooden pieces in a way that completely controlled. This knife has a lot of different uses. The main parts of a puukko knife is that it is made up of a handle, a blade and it comes with a sheath which is often attached to a shirt, a coat, or a belt. The blade will be quite short as it is no longer than the handle itself, and they are less than 4 inches long. 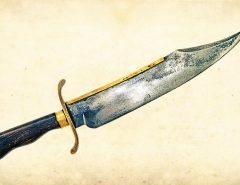 The knife is made to have a flat back which allows the person to place their thumb or other hand to allow there to be controlled force on whatever is being done. This blade is used for all sorts of things but in more modern times it is used for carving, especially to create unique designs in wood works as well as to clean game and fish. There are going to be some versions of this blade that will have a curved point, which will be either facing down or up. The angle of the point will be based on what it will be used for. A fisherman will have an upward point to help scrape out the innards of a fish while a hunter will have a downward curve to make opening the animal easier and making it much easier to skin it as well. The handle for the puukko will often be made from more traditional materials such as birch bark, antlers, or bones and other types of woods. These types of the materials will have a warm yet soft type of feel and if the handle has been wax coated, then it will have a really good grip on the handle even if it is soaking wet, unlike it has been varnished. It is these handles that provide the puukko a very natural look and these days more modern handles are made from types of plastic or rubber. Rubber will have the best grip out of all the various materials that are out there right now. All Puukkos will have a traditionally made leather sheath, however the more modern sheaths will have plastic liners that help to provide more safety and help to extend the life of the sheath after many years of use. Modern Puukko blades are going to be made from various metals but the most common is going to be carbon steels and stainless steels. The carbon steels will provide a more traditional look and this metal is going to be much easier to sharpen when overuse starts to dull the edge. The stainless steel that may be used will keep the sharpness much longer than carbon steel but in order to sharpen it when it does get dull, you will need a diamond whetstone. Also, carbon steel was around much longer than stainless steel and it is often the go to choose for many blade owners. One unique tradition is that when a person receives a puukko blade it is considered to be a very great honor as the idea is that the person who is giving the blade is providing the person with a tool that is very much needed for preparing food, doing woodworking, and as a weapon. This shows that the gift giver has taken into account of the well-being of that person and their family by providing them with something to benefit the whole family.